Karin Herzog is a brand of skincare that is specially focused on offering anti-aging products infused with stabilized active oxygen which significantly adds vitality and life to your skin. Karin Herzog reviews also highlight the addition of other anti-aging agents that help replenish your skin’s lost moisture and nutrients to help restore its youthful health and appearance. Karin Herzog – Does it Really Work? 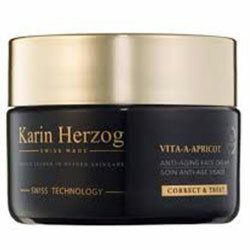 Karin Herzog products are formulated with stabilized active oxygen. This ingredient helps revive optimal blood flow and circulation which, in turn, improves your skin’s nutrient uptake. As more of the essential nutrients are absorbed by your skin cells and assimilated in various skin mechanisms, your skin’s efficiency in delivering damage recovery and rejuvenation are enhanced as well. Reviews attest to the fulfillment of this brand promise, including the Karin Herzog eye cream. Stabilized Active Oxygen: Increased oxygen content in skin dramatically improves blood flow and nutrient circulation. That means, more nutrients reach your skin fluid drainage is improved, and essential vitamins and minerals are assimilated in various skin mechanisms that facilitate repair, regeneration and renewal. 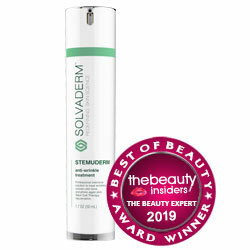 Alpha and Beta Hydroxy Acids: These are naturally-derived acids that deliver a mild exfoliating function on skin. By sloughing off and eliminating the damaged top layer of your skin, exfoliation stimulates faster skin regeneration and turnover. Retinol: A derivative of the anti-aging vitamin, Vitamin A, retinol is a multi-tasking ingredient that corrects signs of aging, lightens dark marks, and protects from further damage. It promotes faster skin regeneration and turnover which results to the resurfacing of newer, lesser damaged layer with every turnover. Petrolatum: It seals your skin with moisture. It works by leaving a thin film on the surface of your skin which provides protection from further damage as well as improving your skin’s ability to retain moisture for longer periods of time. Vitamins C and E: These are super antioxidants that help neutralize the damaging effects of free radicals down to your skin cells. These also work together in powering up skin processes that heal and rejuvenate your skin. Use products under this skincare line by carefully following the manufacturer’s instructions written on the labels. This product’s active oxygen content is based on well-established research about the beneficial effects of infusing skin with oxygen. Reviews indicate that these products may have both instant as well as long-term results. All products sold under this brand are claimed to be cruelty-free and well-suited to complement the vegan lifestyle. Karin Herzog products do not contain preservatives, gluten and parabens. The brand offers a wide range of products that will surely meet your peculiar skincare concerns. This product may not be easily accessible from all locations. Reviews are severely limited and provide very little information about how other users have experienced this label. The full list of ingredients are not published. Return policies vary across retailers. Products sold by the brand are significantly more expensive than similarly formulated products from established drugstore labels. Does Karin Herzog Have Any Side-Effects? Side effects of Karin Herzog are impossible to assess without a complete list of ingredients published for each product. Considering only what ingredients have been mentioned in connection with the brand, petrolatum could be problematic, particularly for acne-challenged skin types because of increasing risk of clogged and infected pores. Is it worth buying Karin Herzog? Reviews are severely limited and information about what Karin Herzog products are formulated with are equally rare. It is hard to say for sure how offerings from this brand may impact skin in the long-run. In any case, there are no guarantees that these products will work best for your skin. What is the Price of Karin Herzog? Karin Herzog basic skincare products cost less than $100 per container. Does the Karin Herzog come with money back guarantee? Guarantees are dependent of retailer offers. Who Should Use Karin Herzog? It depends on which specific product but, there should be one that perfectly complements adult skin of every skin type.